Rays of warm September sunlight set the scene, as New York’s Lincoln Center Plaza transformed into a stage. 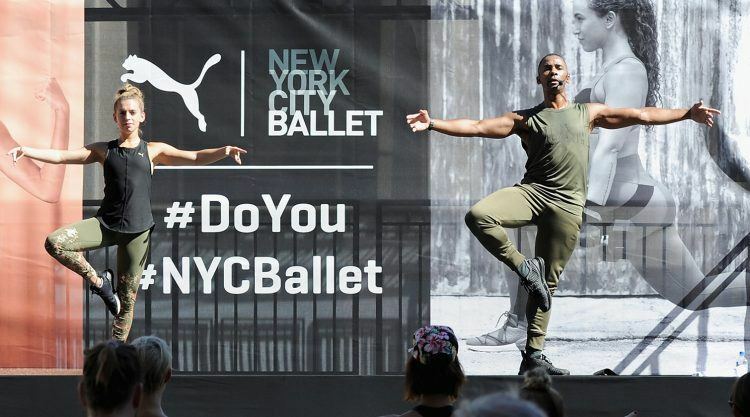 Last Saturday morning saw a brand new workout concept developed by PUMA and New York City Ballet. 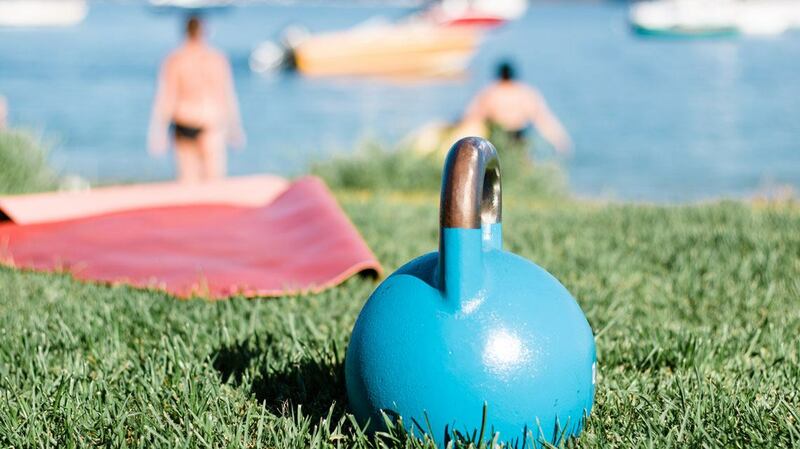 Their training collaboration has inspired a workout design, which mixes dance class with a HIIT training. 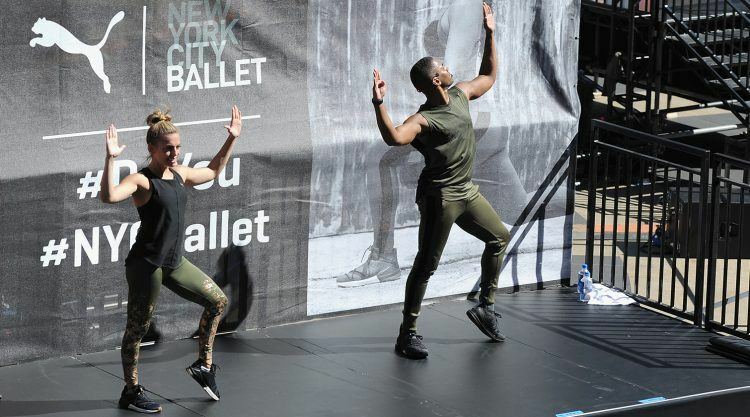 Over 500 participants made for an overwhelming reception, spreading out their yoga mats, towels, and training gear, as dancers from NYCB and professional trainers from PUMA’s Team Faster took the stage. 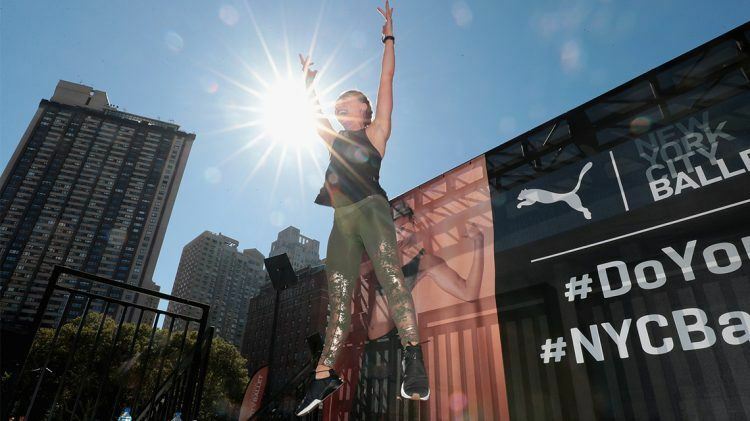 Certified and carefully scouted PUMA Team Faster trainers, sharing their knowledge and joy of exercise, and the dancing expertise from NYCB prove that mixing the best of both worlds results in a new perspective of successfully interpreting fitness. But it was not all said and done with the workout itself! Participants were also presented with free PUMA Fierce from the Velvet Rope collection and offered a variety of healthy food and drinks. 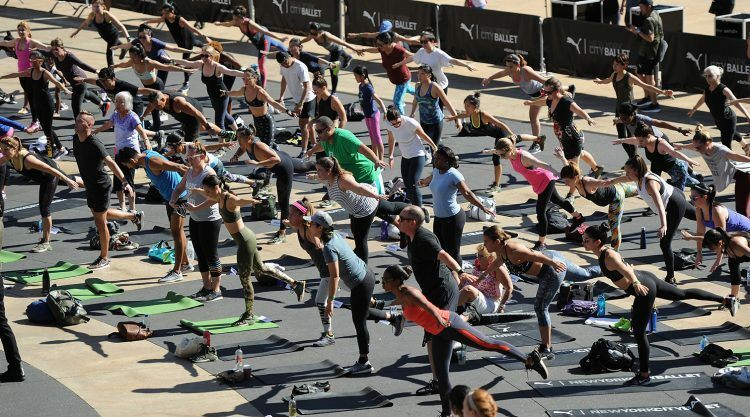 Sports enthusiasts around the globe can look forward to this unique workout concept hitting their cities, as this offer will be shared worldwide through different PUMA activations in 2018. This world-famous building complex in Manhattan hosts many performing arts organisations that are internationally renowned, including the New York Philharmonic, Metropolitan Opera and the NYCB. Founded in 1948, NYCB still has the largest repertoire by far of any American ballet company and often stages 60 ballets or more in its winter and spring seasons at Lincoln Center annually. City Ballet has performed The Nutcracker, Romeo & Juliet, A Midsummer Night’s Dream and many more. High-intensity interval training is a form of interval training, a cardiovascular exercise strategy alternating short periods of intense anaerobic exercise with less intense recovery periods. HIIT is the concept where one performs a short burst of high-intensity (or max-intensity) exercise followed by a brief low-intensity activity, repeatedly, until too exhausted to continue.